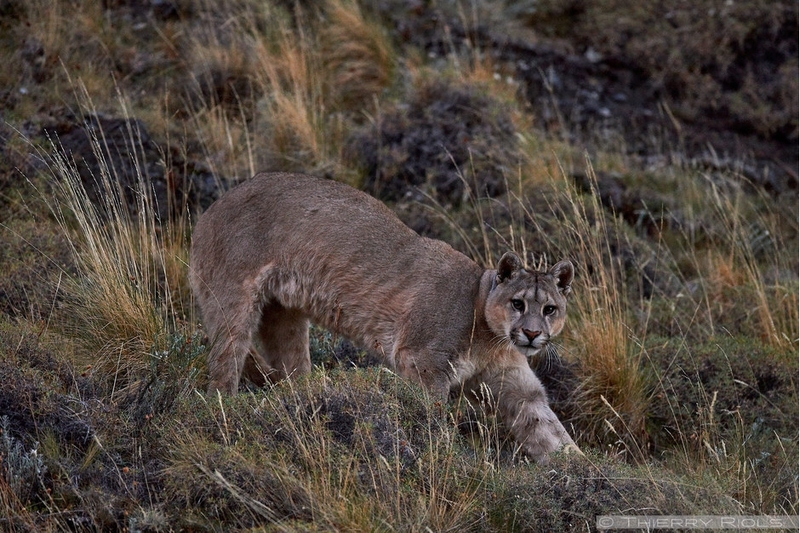 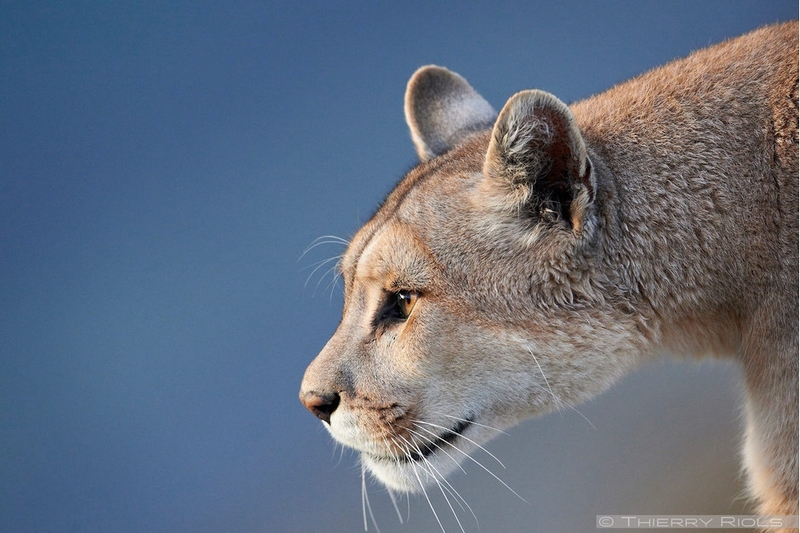 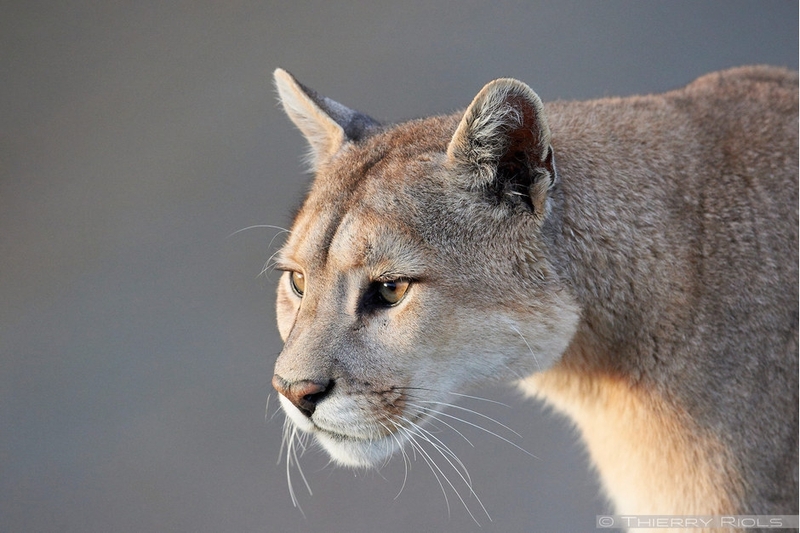 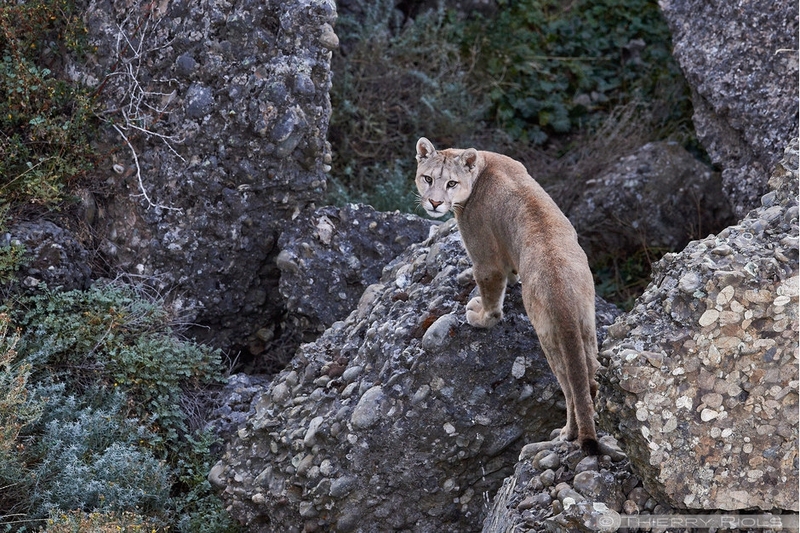 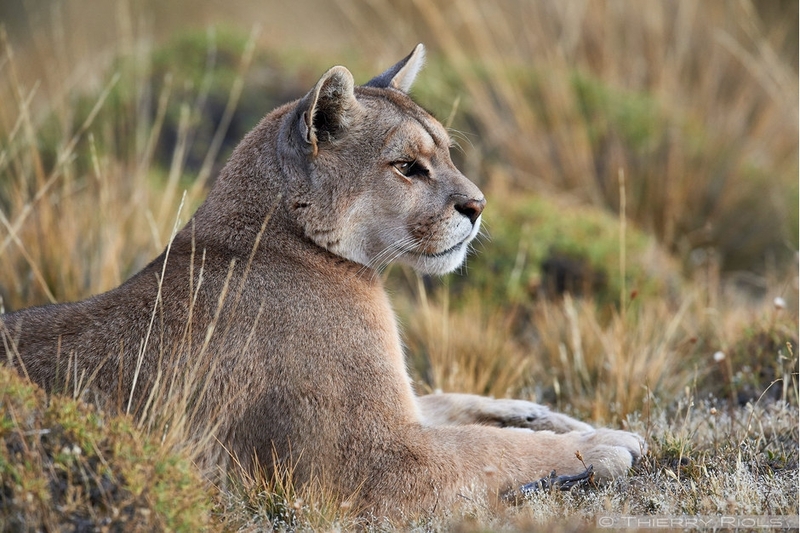 The cougar or puma (Puma concolor) is a feline who resides mainly in mountainous areas in North and South America, it is also called mountain lion. 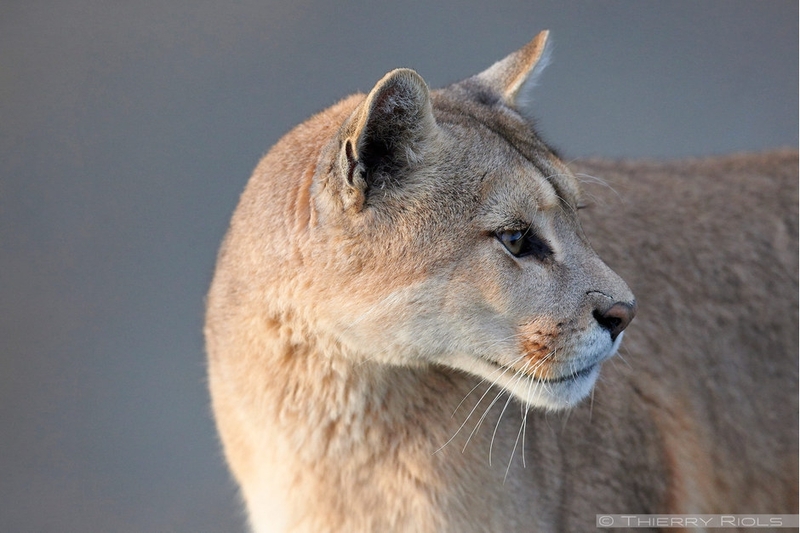 It can reach a length of 2.30 m, a weight of 70 kg and a height of 75 cm at the shoulder. 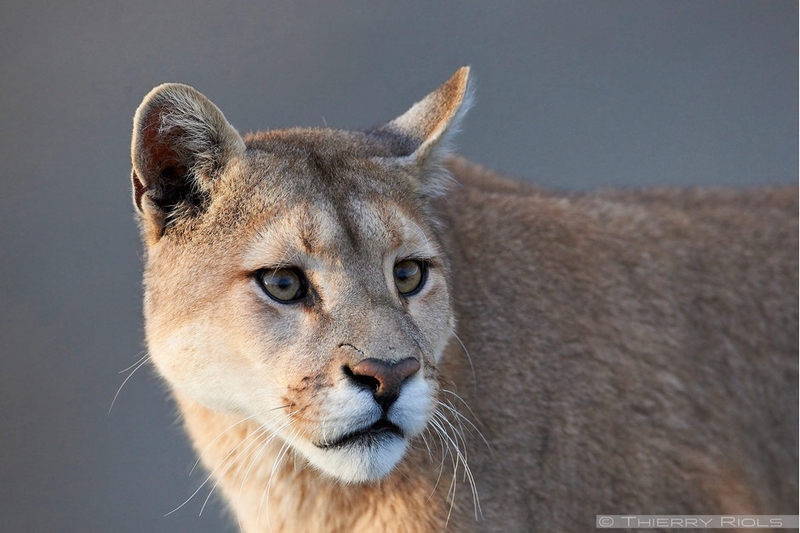 Silent in its movements, the puma is very agile and can run up to 70 km / h over short distances, jump between 4 and 5 m high, make a jump of 12 meters long. 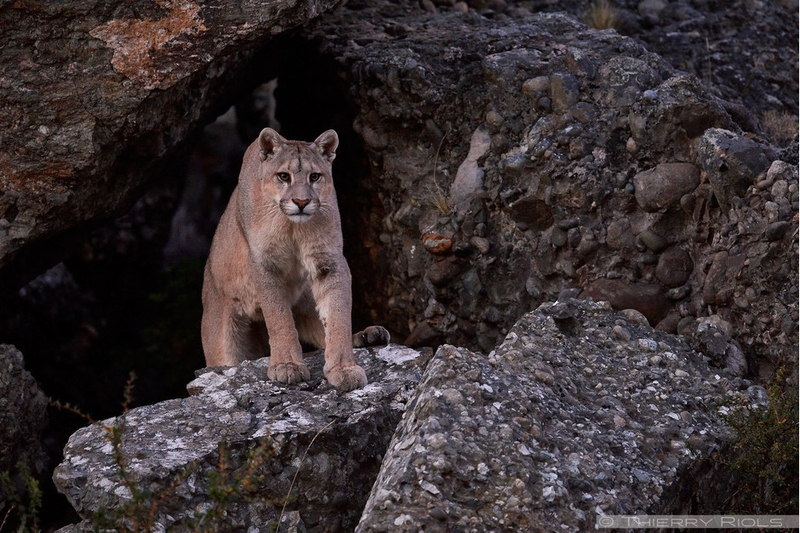 The female can give birth to 6 cubs after 3 months of gestation. 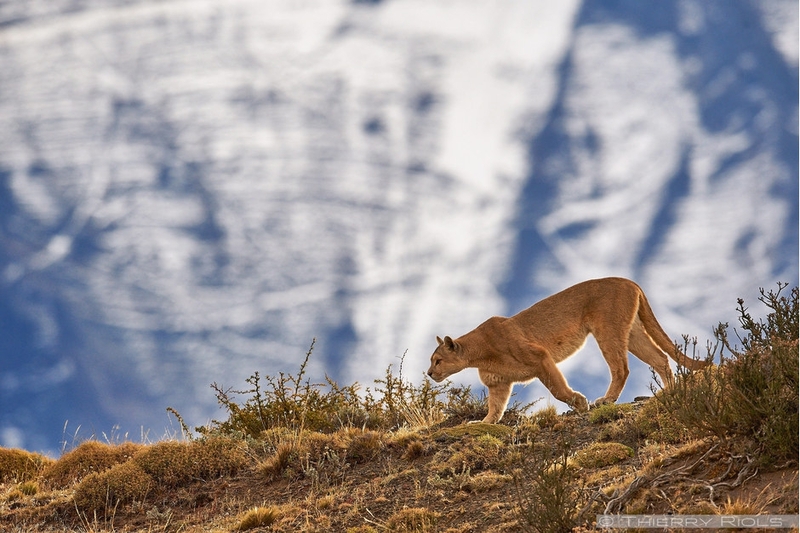 Excellent hunter, cougar approaches its prey from behind before melting it. 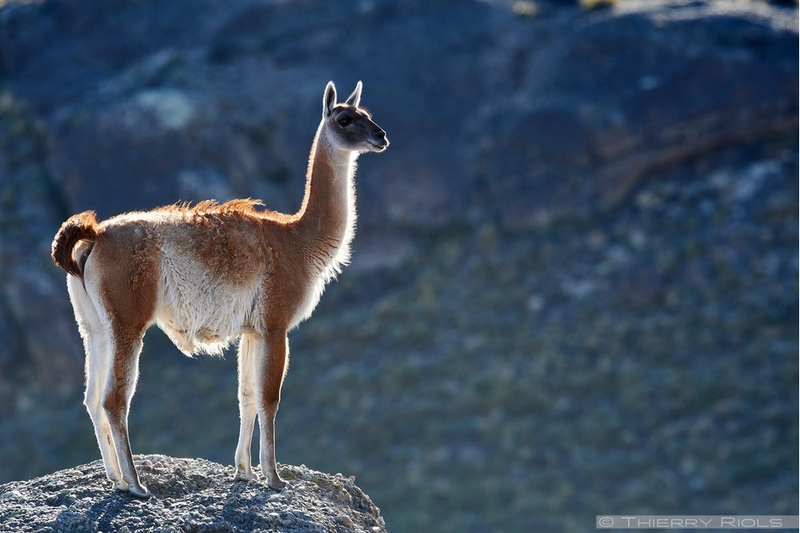 In the mountains of Torres del Paine, his favorite meal consists of guanaco, but it may also suffice for most small game such as hare relatively abundant in this region of Patagonia. 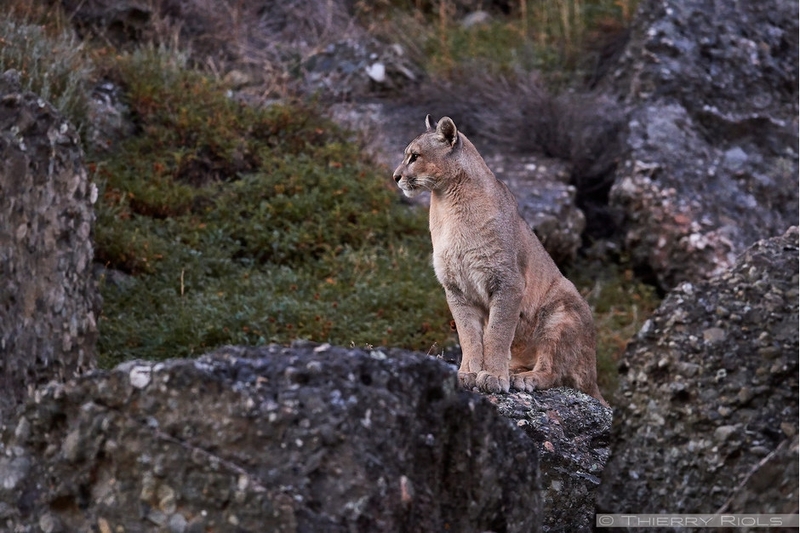 His single-colored dress with tawny tone allows it to blend into its environment.